BEAM's fall newsletter is here! Meet Elijah & discover the BEAM domino effect. 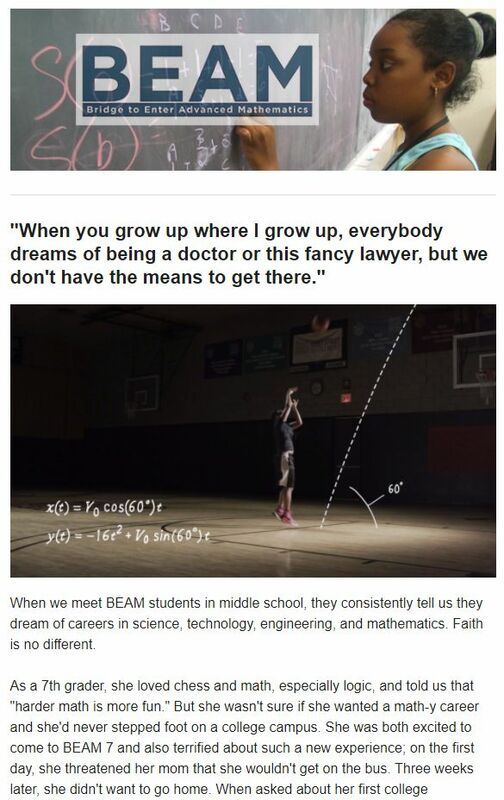 In the current edition of BEAM's quarterly newsletter, you'll find: a video about Elijah, plans for Giving Tuesday, our annual "math-ing campaign", what we're reading, and highlights of the BEAM trip to Yale Splash.